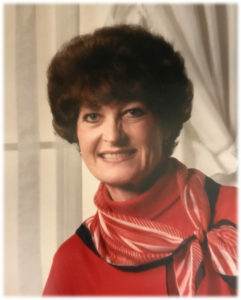 Clayton – Frances Loretta Belger, age 79 passed away on October 31, 2018. Frances was born on September 26, 1939 to the late Raymond and Leanora Belger. She is preceded in death by several siblings. She is survived by a daughter Leah and husband Brad Gordon of Clayton; Son, Garret Kosmatin and wife “Chippy” of Wendell; Grandchildren Michelle Morris and husband Clifton, Tanner Gordon and wife Jocelyn, and a great granddaughter Savannah Morris. Services will be conducted on November 3, 2018 at 11:00am in the chapel of Parrish Funeral Home with the family receiving visitors one hour prior to the service.